and is protected by overhead bird netting. 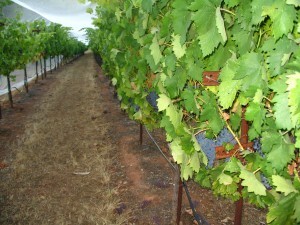 along by aggressive cluster thinning in late July. 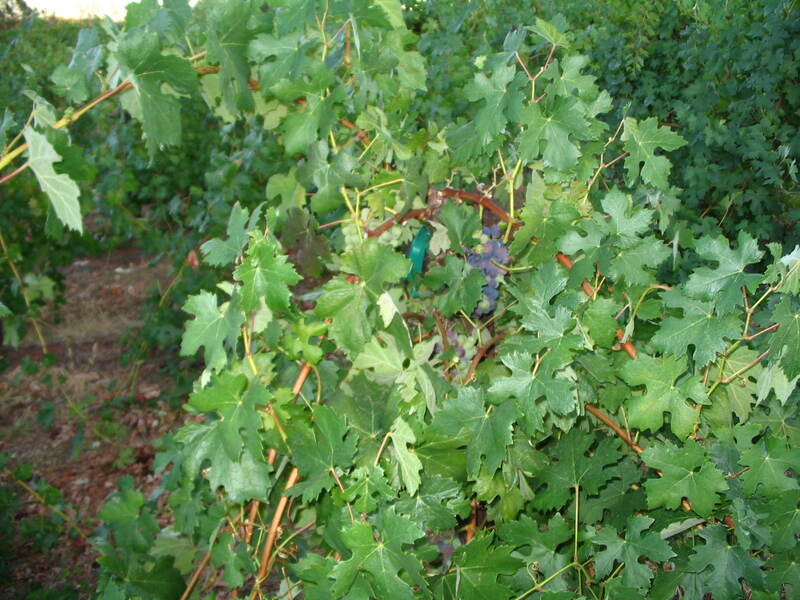 in this Montevina clone vine. 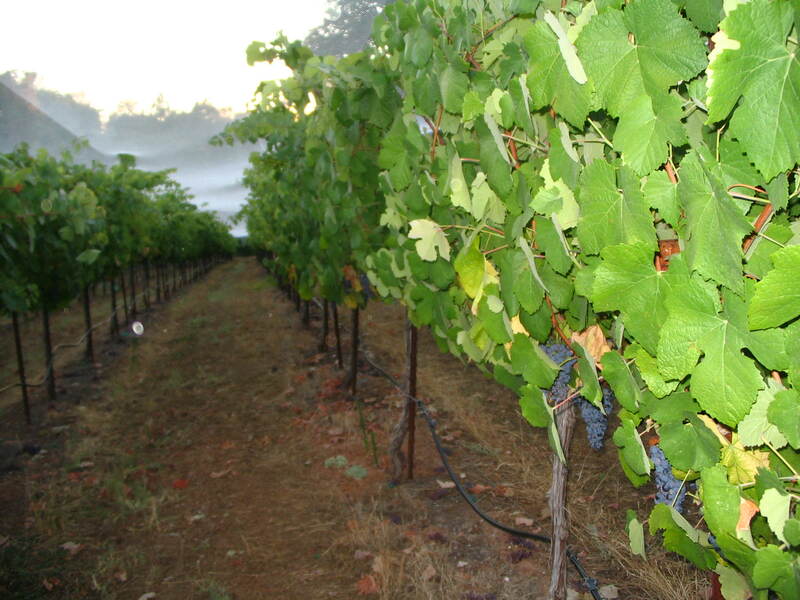 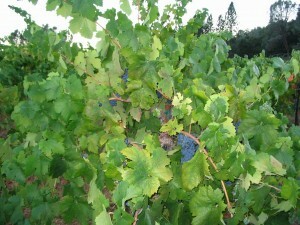 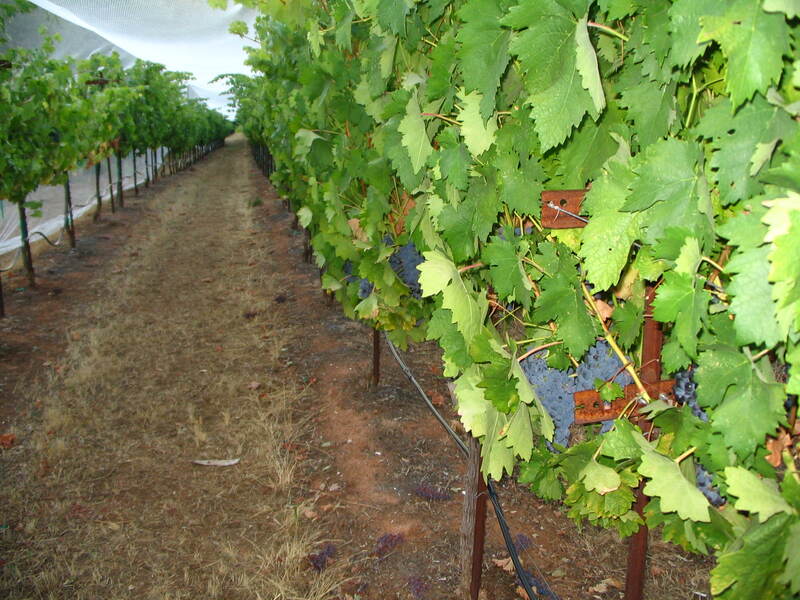 Extensive cluster thinning was completed in mid-July.